← Women in Sport – and the workplace too! This entry was posted in gender equality, Sexism and tagged Gender equality, lad culture, rugby, sexism, universities. Bookmark the permalink. 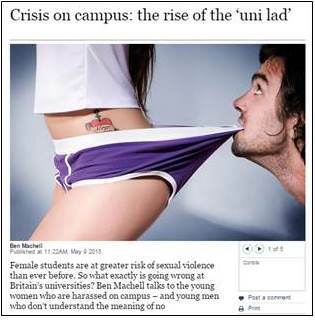 1 Response to Uni-Lad Culture – still going on, but a challenge at last!